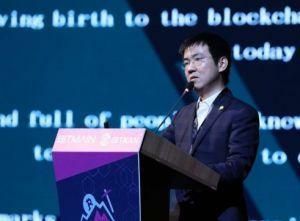 Bitmain, the world’s largest mining hardware maker and operator of the two major Bitcoin mining pools, is likely to name product engineering director Haichao Wang as the company’s new CEO, per the South China Morning Post. The move comes just weeks after the firm announced it would be downsizing – with reports claiming Bitmain could ax anywhere between 33-50% of its staff. The media outlet states that “people with knowledge of the matter” had confirmed that Wang has been the de facto leader of the company since December, with co-founders Jihan Wu (also famous as a leading proponent of Bitcoin Cash) and Micree Zhan stepping aside. Chinese media reports have hinted that the co-founders first fell out as early as spring last year, and that the company has been dealing with a worsening fallout behind closed doors for several months. Media outlet ODaily claims that a “person close to the company” had stated that Wu and Zhan would be stepping aside on December 28, and named “a person surnamed Wang” as the most probable successor. Wang is a graduate of China’s top tech university, Tsinghua, but is a relative newcomer to Bitmain, having joined the company in 2017. Before joining Bitmain, Wang served a seven-year stint at Chinese chipmaker Availink. The South China Morning Post says its undisclosed sources confirm that Wu and Zhan “will remain as the company’s co-chairs” following Wang’s accession, but noted that there was “no timetable yet” for an official announcement. Bitmain has remained tight-lipped on the matter, refusing to respond to the reports. Chinese media outlets have claimed that the scale of the job cuts may rise to half of Bitmain’s total staff, but so far has only admitted that it will make “some adjustment” to its staff in 2019. Meanwhile, the Huobi Group, operator of the Huobi cryptocurrency exchange, once the biggest in the world, also confirmed last month that it is set to make job cuts. The Beijing-based company stated it would be “optimizing” its “staffing” by letting go of low-performing employees. There has been better news for Huobi in Japan, however, as the company yesterday announced it has successfully launched a regulator-approved branch in Japan. Per an official statement, Huobi Japan is now trading with Financial Services Agency approval following a takeover of Japan’s BitTrade exchange in September last year.